Images Of 2017 SG English Willow Cricket Bat | Khelmart.org | It's all about Sports. In 2017 , SG introduces 4 new english willow cricket bats for advance cricket players. 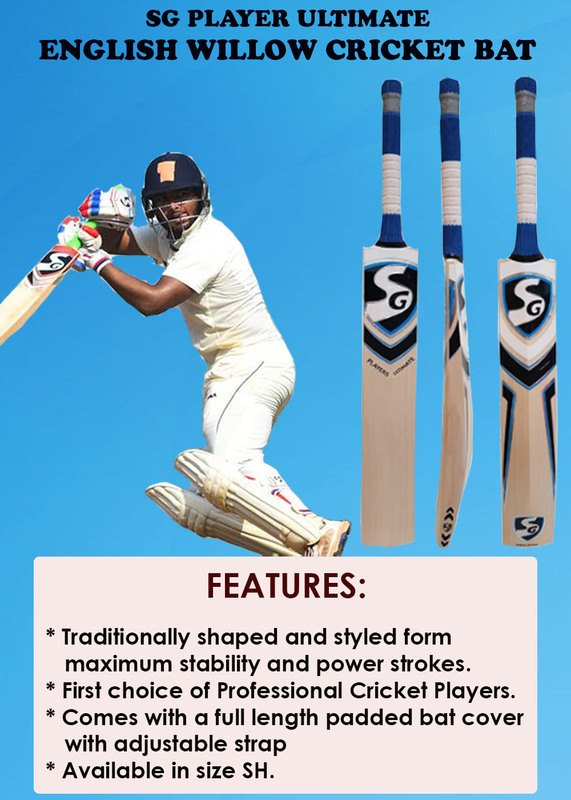 Checkout blog on best 5 SG Cricket Bats - These cricket bats are developed pro players and made from grade A english willow. 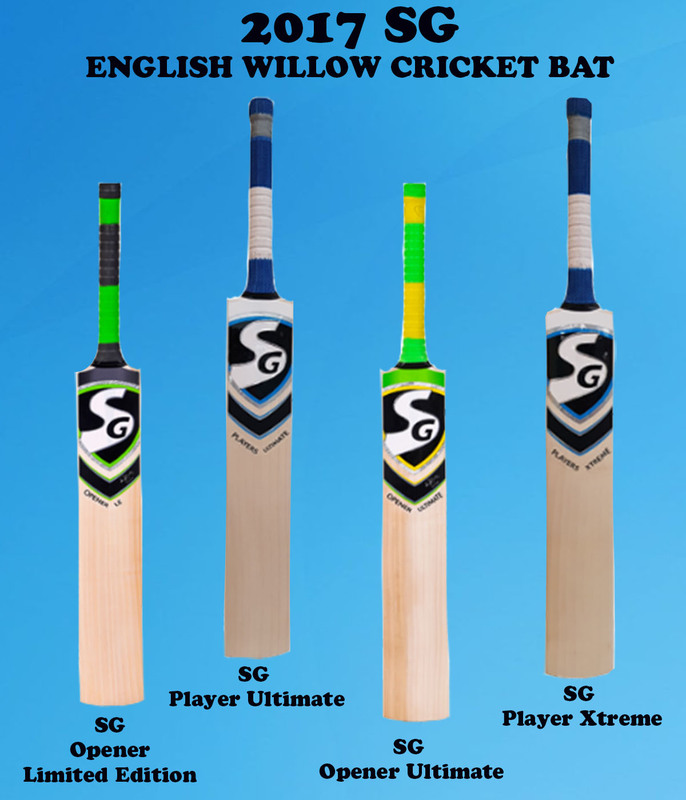 Willow profile and its grains are depends on price of the bat.In this Blog we are listing the 4 new models which is launched by SG Cricket in 2017. 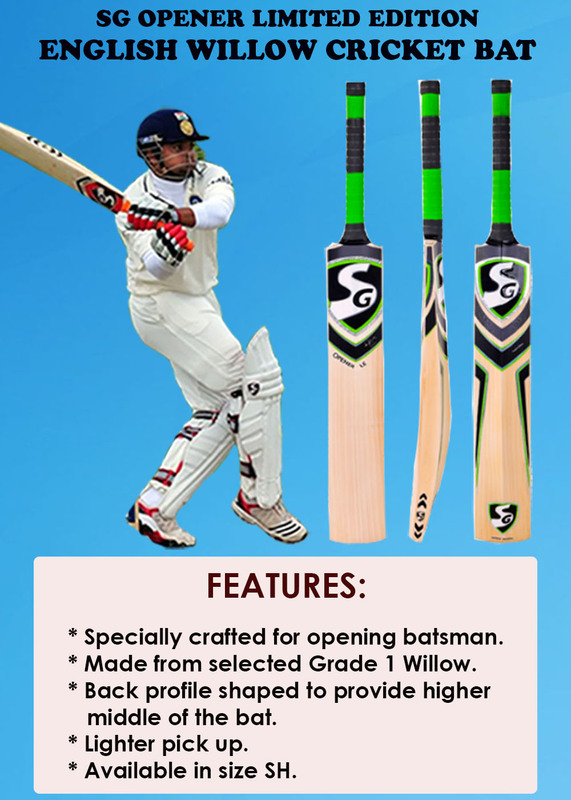 This English Willow Cricket Bat is developed from Grade A English Willow which gives best performance. 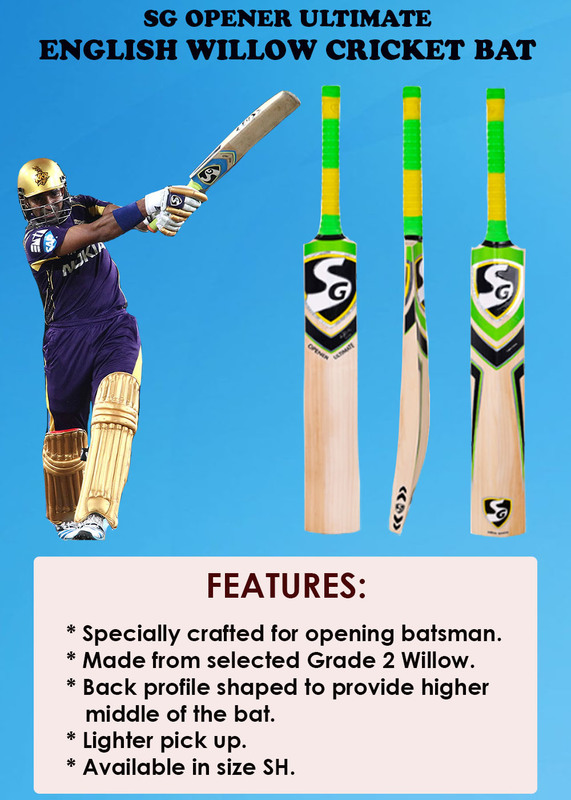 This bat is made from grade A english willow which gives durable performance. 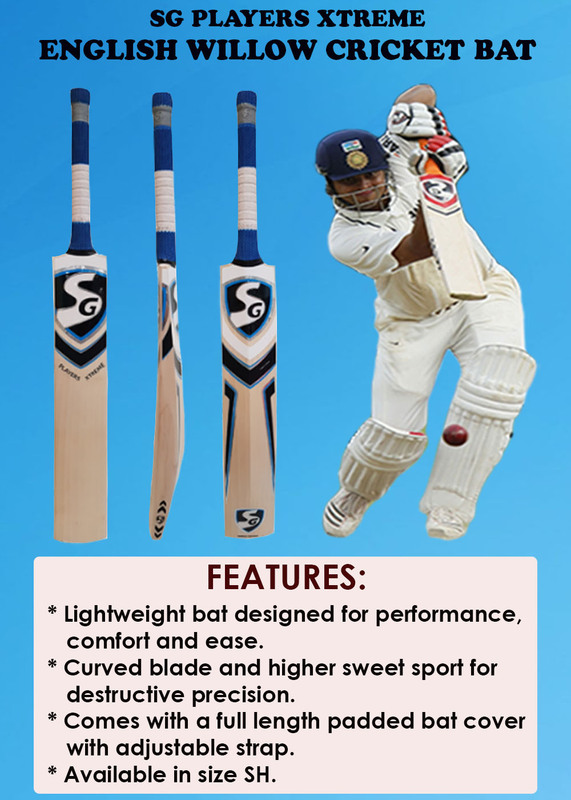 Bat is equipped with traditional shape which delivers best in class performance to cricket players. Player will get 6 to 8 grains in the bat with clear english willow bat profile. Bat edge is equipped with 40 mm thickness which generate massive power on shots. This Cricket bat is made from grade B english Willow. WIllow is processed with SG traditional willow processing technique. WIllow is highly durable and unbleased in nature which offers best in class performance. Player will get 5 to 8 straight grains in this bat. Bat profile is traditional while it is an high spine cricket bat. Its edge thickness is around 40 mm while sweet spot is bit large as compare to similar price SG bats. With large sweet spot cricket player will get better opportunities to get more power on shots.